I received quite a few questions from you yesterday about my comment regarding beer and milk supply. I am no expert on the topic, but happy to share my experience. From what I’ve read, it’s the brewer’s yeast and hops (NOT the alcohol) in beer that stimulates milk production. I haven’t had any problems with supply, but I definitely notice that if I drink a beer, my milk replenishes itself more quickly. If I have more than 1 beer? Ouch- over supply! It may not be water into wine, but I’m a pro at turning beer into milk! But man, that water into wine thing would be cool. Some say that the alcohol can have a negative effect on milk supply, but personally, I haven’t experienced that. Others say that a certain type of beer (like a stout) works better than other types. For me, any type of beer has the same enhancing effect. I’m not saying all nursing moms should go drink beer, in fact, non-alcoholic beer will work just as well if you’re looking for a supply boost. And if you have more of a sweet tooth, whip up some lactation cookies instead. These are my favorite. 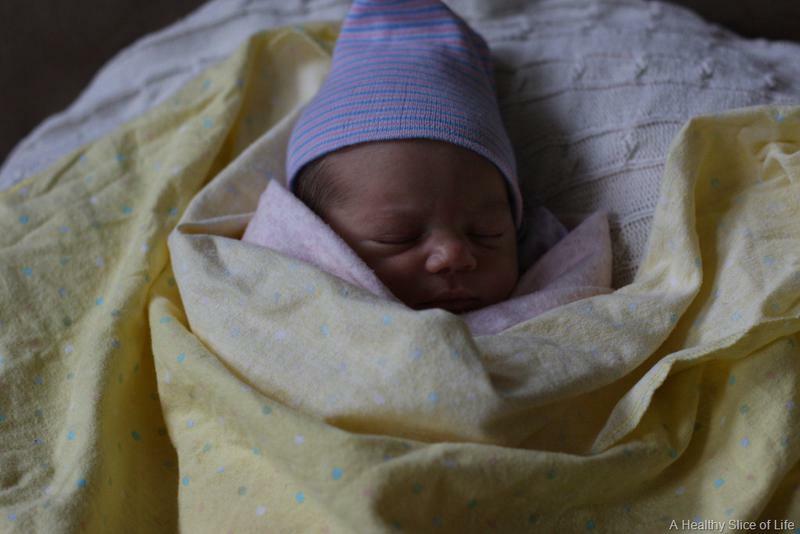 As you all know, from the moment Hailey was born, we’ve swaddled her for naps and nighttime sleep. Was she ever really that little? Oh my goodness. Mom swoon. From what I’ve gathered, most people stop swaddling around 3 months for various reasons. We didn’t. In fact, we switched to double swaddling Hailey because she slept so well when snuggled up. Lately she began to break free of the double swaddle, velcro and all. For naps I’d only swaddle her legs, but to try and put her down with no swaddle at all always turned into a battle. I wasn’t sure what to do. I figured it might be a tough transition out of swaddling, and prepared myself for some sleepless nights. 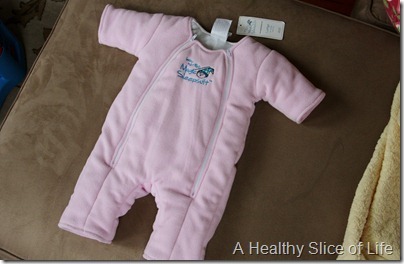 Then reader Jen suggested I look into a product called Baby Merlin’s Magical Sleepsuit. 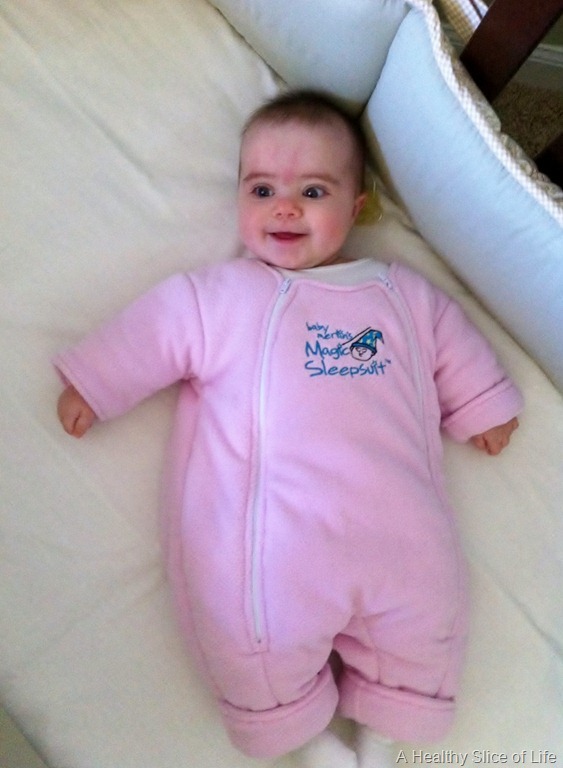 The sleepsuit is designed to help babies transition out of swaddling by providing the warmth and coziness of a swaddle, without the swaddle. It also helps to subdue the twitches and jerky movements babies have that often wake them up. Sounds downright, well, magical, doesn’t it? I contacted the company and they offered to send me a suit to try with Hailey. 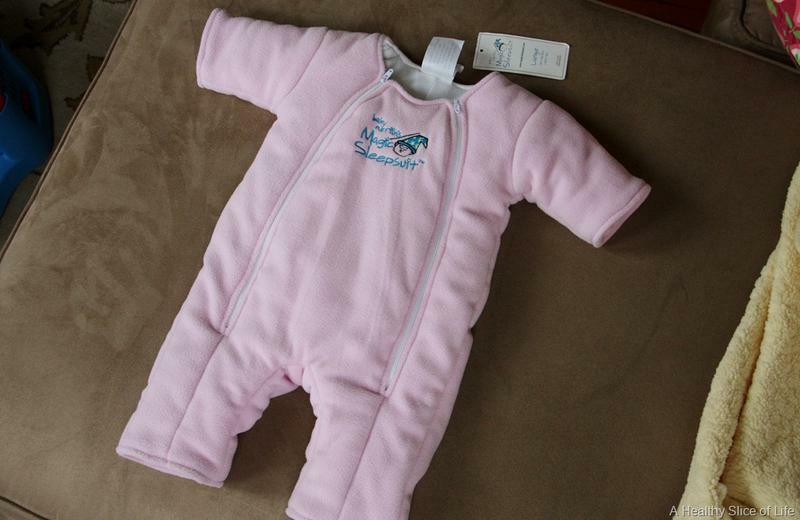 They have 2 sizes, 3-6 months and 6-9 months. I went with the larger size. The suit reminded me of a snow suit, slightly bulky and super snuggly. It has 2 zippers so it was easy to get Hailey in and out. Much easier than trying to swaddle my strong 5 month old . Hailey seemed to get a kick out of wearing it. Snoring softly and cozy as could be. The real surprise came 45 minutes later, when Hailey usually wakes up from her nap. Only this time, she was still snoozing solidly and did so for another 45 minutes! 1.5 hours of sleeping baby bliss. I almost didn’t know what to do with myself. 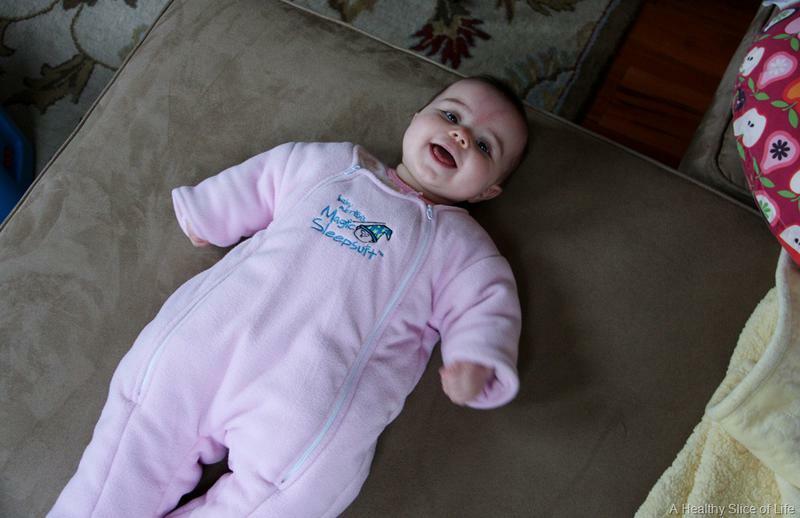 Since then, we’ve used the sleepsuit for every nap and nighttime. She tends to like to bring her legs up into the suit, which she can do by herself. She also can get her hand into her mouth, so the suit doesn’t restrict movement, it just helps control the quick, jerky movements, like smacking herself in the face. The transition has been seamless and she’s sleeping like a little angel. The only problem I might have with it is during the hot summer months. I’d want to make sure her room would be cool enough for her not to get sweaty, since she tends to be a hot-natured baby. Overall, I’m incredibly impressed with the suit. I feel like it’s easing the transition into sleeping sans swaddle. Hailey is sleeping wonderfully in her suit and I’m still grateful for the 11 hour sleep stretch Hailey gives us at night. What is one baby product that has really helped you? i love that she kinda looks like an oompa loompa in it 🙂 so cute!!!! glad it’s working well! The the first thing I too thought about, when seeing this suit, is what happens in the Summer, which is just around the corner for you all that side of the world. I kinda wish they made an adult version of that. It looks cozy! She is so cute in that jumper! 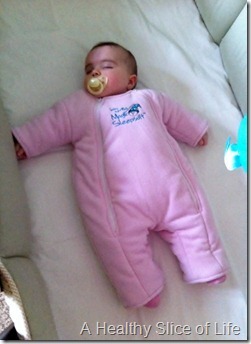 OMG, Hailey is so cute in that sleep suit! Love it! 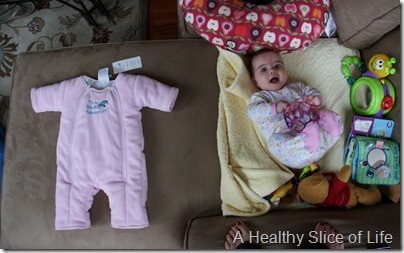 I am intrigued…we are still swaddling Kherie in her woombie and she is almost 6 months. I am hesitant to stop, because she is such a fitful sleeper and sleeps so well when swaddled. We are approaching the need to transition out of the swaddle but we are so scared because she loves it and is such a great sleeper. This product excites me! I definitely think we will have to order one and see if it helps the switch to no-swaddle! I forgot to mention, I heard if you like them on facebook you can get a 20% off coupon! Thanks! I “Liked” them and got the 20% off. Its on its way! 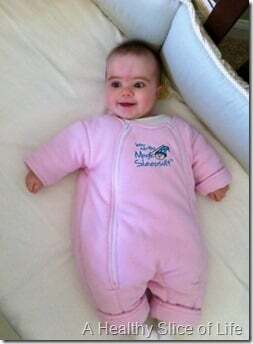 the magic sleep suit is hysterical. she looks like a baby sumo wrestler!!! That is really neat! Those pictures of her in it are so cute too — I just wanna squeeze her! Ah, how adorable! The last photo of her had me grinning from ear to ear. 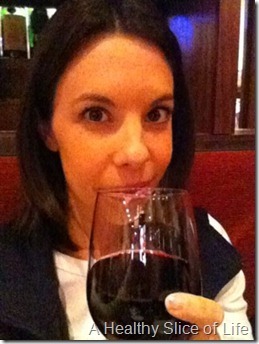 I actually just re-read her entire blog from Day 1, and it was so great and entertaining! And I’ve gotten some wonderful suggestions for products and tips from it now that I’m pregnant (see below)! You definitely should read it all! Yet, another product I’m writing down to look into! I got my Snoogle over the weekend, and have had a few wonderful nights’ sleep since. It’s so comfy! Thanks again for the suggestion! Please don’t take this comment the wrong way, but doesn’t the alcohol content in the beer worry you though? The fact that Hailey is also consuming it? I know you are probably just having one or two but I was just curious. We never swaddled our little one (he never seemed to like it and would try to break free) but that looks like a good transition if we ever swaddle #2. I don’t take it the wrong way at all- I love discussion! If I have a drink, I wait until after Hailey goes down for the night. Since she sleeps until morning, it gives my body more than enough time to get rid of the alcohol. Alcohol is absorbed in and out of breast milk in the same way as the bloodstream, so pumping and dumping doesn’t do any good except to relieve the pressure if you get engorged. If I have a drink earlier in the day (rare), I’ll feed Hailey from a bottle using stored breast milk. aw, how cute!! I remember that my parents used similar “PJ´s” and my brother and I love them. And I wanted to say that I have noticed how happy Hailey looks in every picture!! I laughed out loud when I saw the first pic of Hailey in the suit.. so cute!! That’s so interesting about your reaction to a couple beers! I don’t really notice a difference. I think the alcohol counteracts the effects of the brewers yeast. I love the suit! Hailey looks so cute. And it’s nice to know that it really works! Lyric broke herself of the swaddle at 10.5 weeks when she discovered her hands so I never had to figure out how to transition. Of course now she’s cutting teeth so we don’t sleep at all!! How stinkin’ cute is she? Gaah! How cute!! Well I have been drinking beer lately cause I could use some more flow. Your little one is so cute! Mine is going on 2 nights without a swaddle but she wakes up every 4 hours. She’s been doing it even when she had the swaddle so I figure it is normal. At almost 7 months we still swaddle her legs. By going to worry about breaking it until it gets too warm for the extra layer. 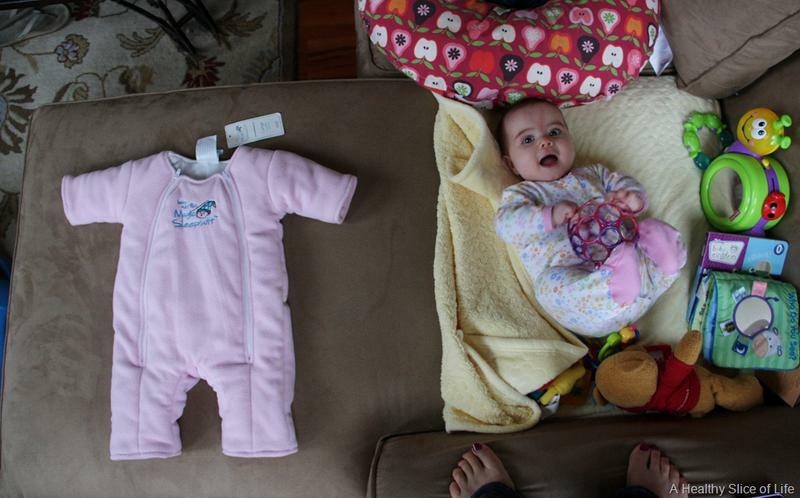 I’d say the moby is my favorite baby product, so comfy for both of us! We had a humidifer going in our sons room (he is 6 months) but when he got Croup we got an additional warm air mister and he instantly started sleeping through the night (he had been getting up once). The Croup is gone but we still use both the humidifier and the mister – it’s been 5 weeks now and he has slept every night since. Oh my goodness! That is the cutest thing I have ever seen! I don’t have any kids, so I can’t really say much about baby products. But, when I was helping with my twin nieces, they had these bouncy recliner seats that worked miracles! Awwww she’s adorable!! That sleep suit looks great! Too bad i’m done having kids. That said, I’m still nursing my youngest (Amber 16 mos) and have found that beer does help my supply tremendously too. I prefer non-alcoholic beer because then I don’t crave lots of snacks. Water into wine would be awesome haha. My dog, Dakota, would LOVE that sleep suit!! haha She’s a cutie! That jumpsuit is SO cute on her! 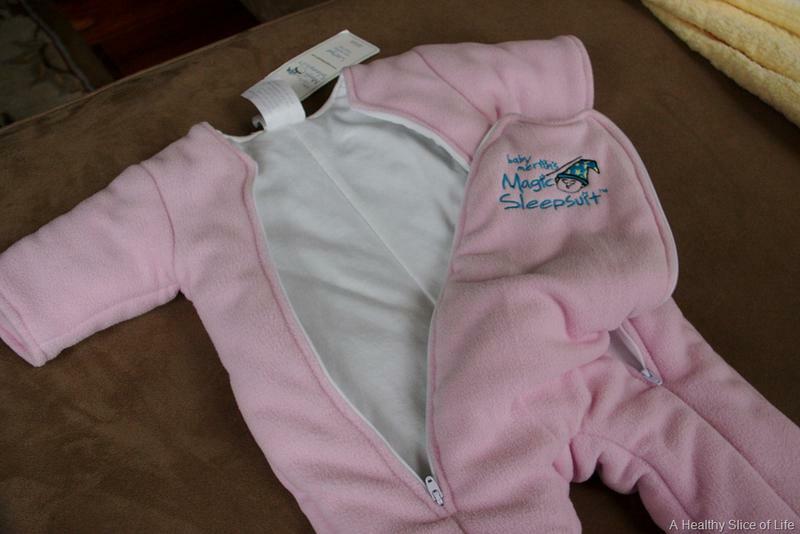 This sleep suit looks just like Alana’s snow suit! I call her my little pink marshmallow when she wears it. LOL. I wish I could do this but A’s room is always on the hot side. We don’t have central heat and air and her room is always 75 unless I open the window and being in New Hampshire I can’t do that just yet. Maybe I can use a lighter one. So I used the Merlin Sleep Suit for a while and it was great but after that I had to figure out how to transition her off that because she wouldn’t sleep without it! I found out about http://www.zipadeezip.com and it’s the best invention ever! It was made to transition off of the swaddle and not the merlin suit but it worked great to transition her from the suit and for that I’m sooooo grateful! 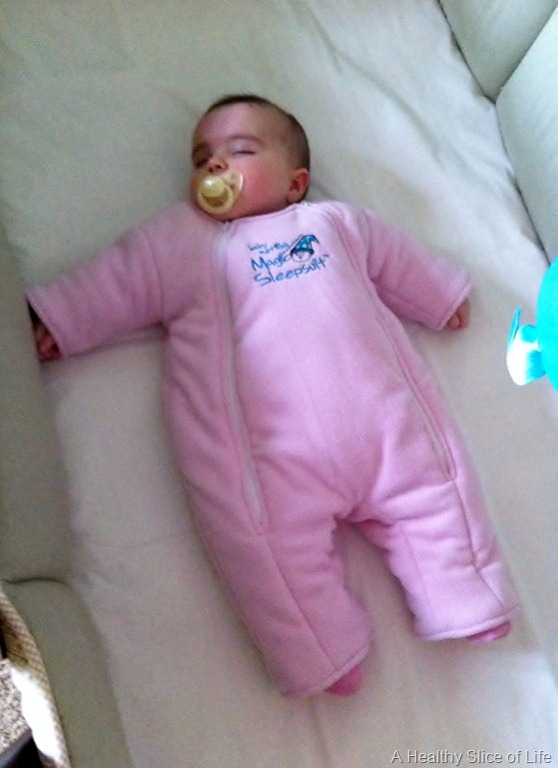 I tried putting my daughter in a traditional sleep sack after the Sleep suit and she wouldn’t fall asleep and finally I tried the Zipadee-Zip and she fell asleep for 11 hours the first night… longer than she had slept even in the Merlin Suit! It was incredible! I wondered if I was going to have to transition her off of the Zipadee-Zip too but at around 11 months I was on vacation and her Zipadee-Zip needed to be washed so I put her to sleep without it and she slept just as long as she had in her Zippy! Now she sleeps in normal PJ’s… Every once in a while I’ll put her in her 12-24 month sized Zipadee-Zip because my husband likes to keep it so cold in the house and the Zipadee-Zip keeps her hands nice and cozy…plus it keeps her from trying to climb out of her crib! Either way… This is the best product I’ve found yet because it released my little girl of all her crazy sleeping addictions! wooohooo! Well, it only took two years, but I finally got this pingback. Thanks WordPress. 😉 Honored to hear that the Lactation Oaties are your favorite. We still eat them often, lactating or not. Hope all is well Brittany. Haha, two years! That’s hilarious 🙂 I still make them for new mom friends and recommend them to everyone- they’re great! I hope all is well with you! Hi, I’m Katy! So glad that I came across this chat room. 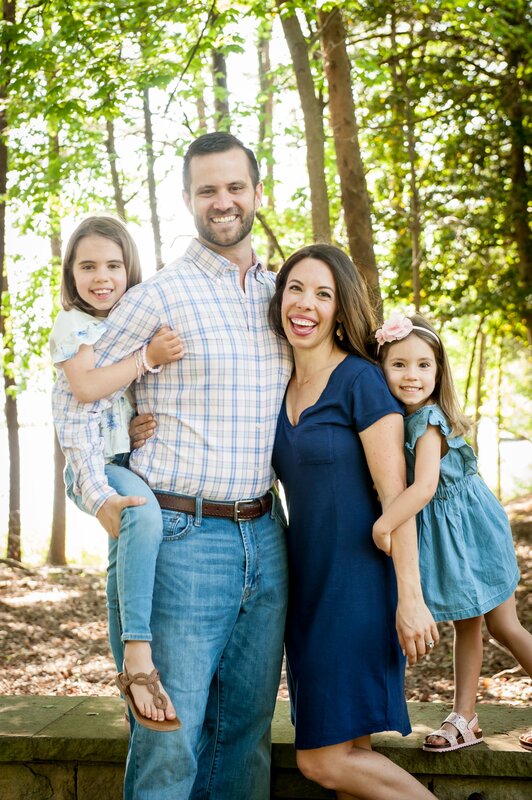 I’m looking forward to talking with other moms. The Zippy from http://www.Zipadeezip.com has been a game changer in my sons sleep. My son averages about two extra hours of sleep per night, and he is not as fussy when he has it own. It truly soothes him and he cries a lot less! Our LO loved to be swaddle but we stopped when she was rolling over because of safety concerns. We transitioned her into the zipadee zip and it was truly a lifesaver. She slept so well in it and it gave me the peace of mind knowing it was safe for her! We use the Zipadee-Zip as well! We swaddled and our LO loved it. We transitioned out of it once she was rolling over and switched her into the Zipade-Zip. It’s worked wonderfully and she sleeps so great in it! Its comforting to know so many moms use the Swaddle transition blanket from Sleeping Baby. 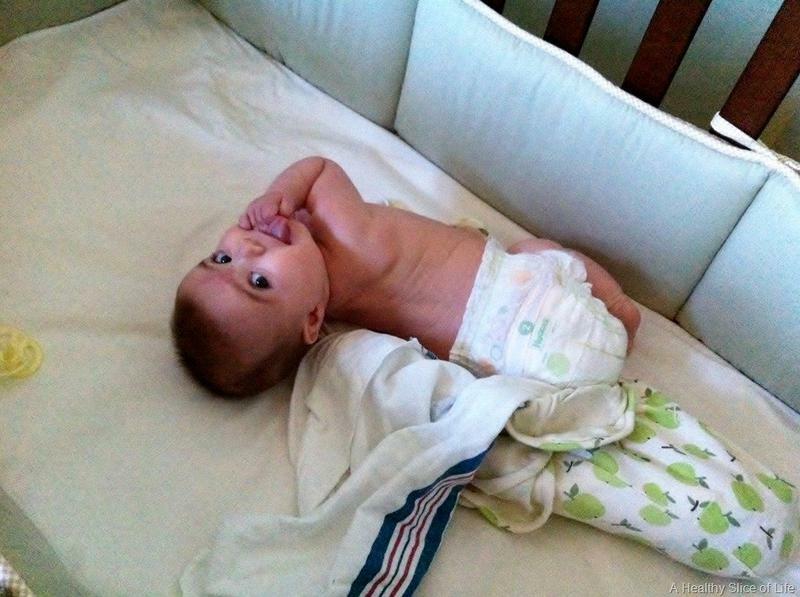 I just ordered my Zipadee-Zip so I hope to be able to share my sons experience on the swaddle transition journey. 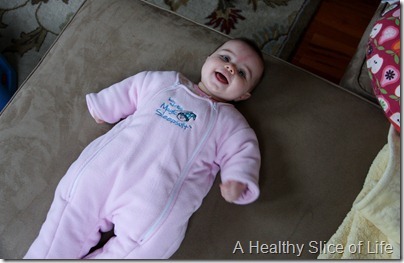 We used the zipadee-zip and that helped tremendously with the swaddle transition. It also played a huge role when we moved our boy to his crib. Great product!